The Left launched their “Sarah Palin is Stupid” campaign the next day after her incredible VP nomination acceptance speech. 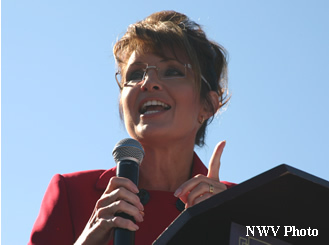 A woman, pretty, smart, witty, confident and bold with an ability to inspire and fire up the conservative base, Sarah Palin was the Left's worst nightmare. They were livid. The only thing which could have made it worse would have been if Palin was black. The Left would have surely lost their minds. I thought, “This is wrong. Why help the Left sell the message to their audience that Palin is stupid?” Humor is a powerful sales tool. The assault on Palin's intellect intensified daily. Every word out of Palin's mouth was dissected and placed under a microscope. 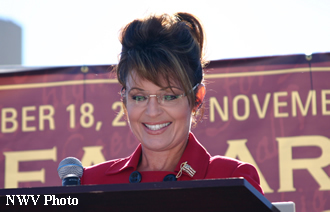 Then, viewed through a lens tainted with the paradigm that “Palin is stupid”. Who amongst us could withstand our every utterance judged with such extreme scrutiny? While the liberal media no longer enjoys their Walter Cronkite single voice “bully pulpit”, their ability to brand a person or issue is still quite powerful. They took a man who had never run a business, state or donut shop and convinced millions of Americans he was a political leader unlike any before him. Obama was the smartest guy in the room; eminently qualified to run America and probably the world. Some on our side still crave to be accepted by the liberal media. They are embarrassed to be named among those “crazy tea party people.” Thus, they pander to the Left saying things like, “They're right, Palin is a joke. And yes, we conservatives should be willing to work with liberal democrats.” Unfortunately, “willing to work with” ALWAYS means compromising our values, not theirs. Thank God, most of us “get it.” We realize “The Left” simply must be defeated. Liberal mainstream media, your “glory days” of distorting the truth, monopolizing coverage and totally controlling public opinion are over. We The People truly are Taking Back America! Taking Back America video. “One Million People To Defeat Barack Obama 2012.” Please join us!